In today’s world of tight margins and even tighter competition, automation can be the saving grace for businesses feeling the heat. 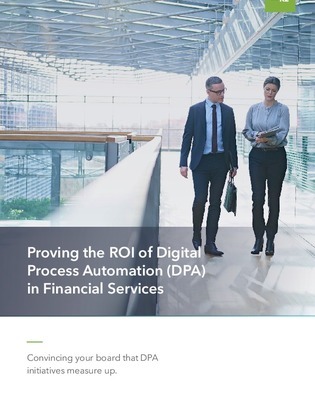 Digital process automation (DPA) stands out as a particularly lucrative option, promising a low-code alternative to increasingly dated business process management software. Flip through this list to find out how a DPA platform can transform the way developers, IT, and the rest of the business interacts. You’ll also learn how DPA can impact bottom-lines, including cost impacts, automation related savings, and more.